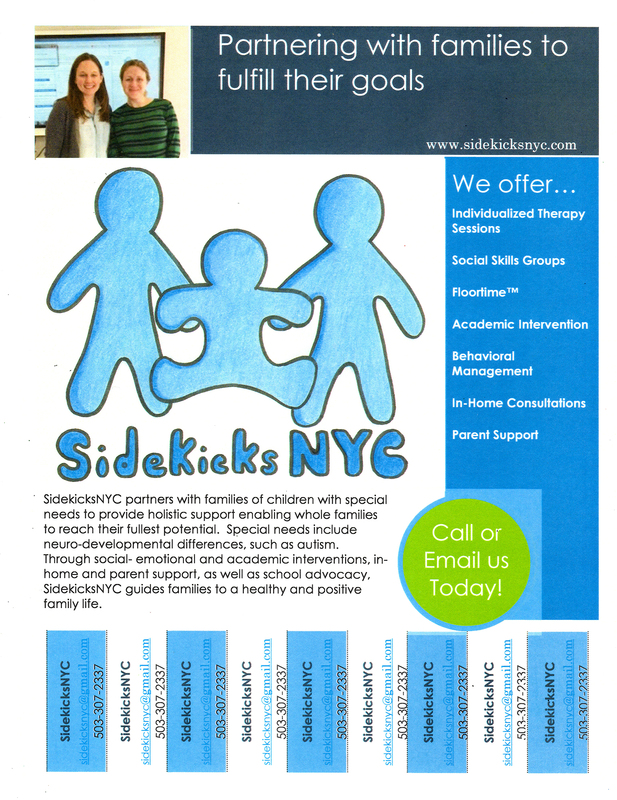 SOCIAL SKILLS GROUPS HAVE BEEN LED BY SIDEKICKSNYC AT SSBL SINCE MAY 2015. THERE ARE DIFFERENT AGE GROUPS AVAILABLE. SPACE IS LIMITED AS GROUPS WILL HAVE A MAXIMUM OF 4 CHILDREN. CLICK ON THE FLYER TO VIEW.